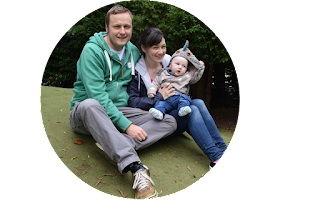 Apologies for lack of blog posts this week, I’ve been on a bit of a roll lately but this week has been a bit hectic with one thing and another. Two good things have come out of this week though – yesterday I drove myself and a colleague down to Sheffield to visit 2 of our depots down there. I was panicing quite a bit during the week as I’ve only been on the motorway twice. Both times I was with Mr T and it was a quiet Saturday morning. Yesterday involved driving across Bradford city centre at rush hour, joining the M606, M62 and M1 there and back along with driving through Sheffield city centre. I am so scared of slip roads and was really worrying about it but Kevin was a very supportive passenger, laughed it off when we got lost and kept me very relaxed. I honestly didn’t think I could do it but I did and I’m so proud of myself. I was knackered by the end of the day though; I’ve never driven more than 50miles but this was a 115 mile round trip on top of my 10 miles each way to work. A long day of driving in Betty Blue but I got us there and back safely – woop! Go me! Another plus of this week was the lovely folks at the Cake and Bake Show getting in touch. They were doing a feature on kitchen gadgets for their newsletter and asked me could I provide a short article. I write copy for emails at work but I’ve never done one like this before. I adore my Thermapen so I told them all about that. It really is one of my favourite gadgets. Once again I’m feeling proud and happy; my wee blog is getting advertised to loads more people! You can't tell but this photo has actually been flipped. I thought I look a bit different in it haha! Anyway… it’s Friday lunch hour, only a few more hours til the weekend. Have a great one whatever you do. I’ll be back on Monday with some meal planning. Well done on conquering the motorway! I've always thought it should be added to standard driving lessons, as so many people find it so scary and just don't know how to drive on there. Now I do a 102 mile a day commute on them so am pretty used to it. 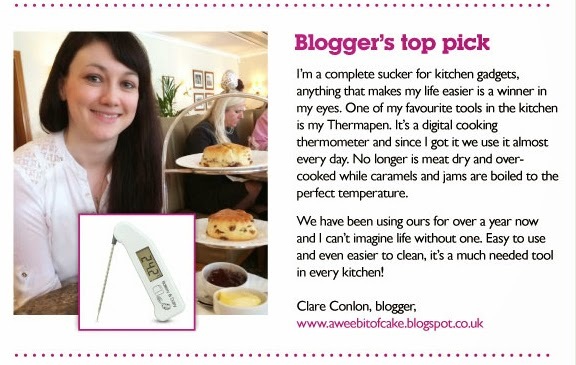 So exciting for you to have a part in the cake and bake show newsletter. I'd have done such a squeal at the opportunity! I agree! I had never done a slip road til I passed my test. I know there is pass plus but one motorway lesson would be good to have before your test. 102 miles a day? Ouch! And I thought I had it bad travelling from Leeds (well Otley) to Bradford.